Richard Ojeda lost his bid for Congress in West Virginia in 2018. 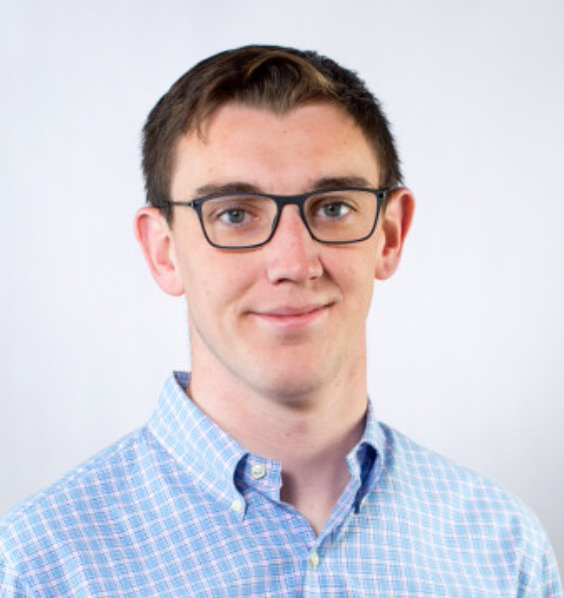 But in doing so, he managed to swing a rural district – deep in Trump country – by 36 points compared to 2016, the largest swing of any district in the country towards the Democratic Party in the midterms. Ojeda, a highly decorated, 24-year veteran of the U.S. Army, is now running for president, seeking to win the nomination of a party he says has turned its back on working class people, particularly in rural states like West Virginia. 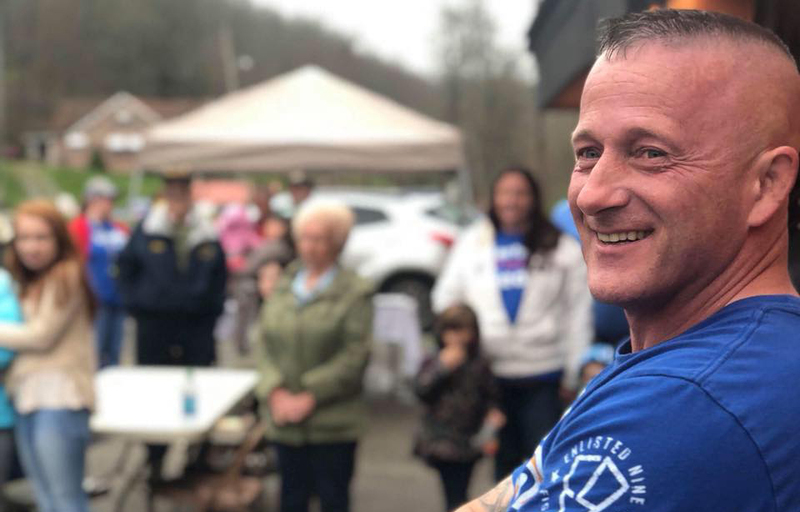 A fierce advocate for the ordinary, Ojeda, who was until just last week a West Virginia State Senator, is by no means a prototypical candidate for president. He has no Super PACs working on his behalf. He does not seek nor accept campaign contributions from corporations or special interest groups. His talking points are not focus-group-tested. And though his name is not often floated around on the major networks, he believes his rawness and authenticity are a strength, not a weakness. With the 2020 presidential campaign beginning to heat up, The Globe Post spoke to Ojeda about the “Green New Deal,” combating corruption, and how Democrats can reconnect with working class people in Middle America. Q. Since you announced you were running for president, you’ve spoken a lot about the need for a “Green New Deal.” The proposal has also been floated by other progressive leaders like Alexandria Ocasio-Cortez and Bernie Sanders and seems to be gaining some momentum within the Democratic Party. First of all, what exactly do you mean by a Green New Deal? What would something like that look like and why do you feel it’s so important, particularly for states like West Virginia that are so reliant on coal and the fossil fuel industry? Ojeda: Well, the places where I’m from in Appalachia that have placed all of their eggs in one basket need to realize that we’ve got to pull away from the fossil fuel side of the house. We know that there’s a line in the sand that we can’t cross. Because once we cross that line, then we might as well just sit and watch the world die around us. Number one, climate change does exist and we need to address it. Number two, the Green New Deal piece, bringing those green energy jobs to places like Appalachia where people have relied on coal so that those people who are in those professions can start to train and transition to these green new energy jobs. So, instead of pulling the plug on the coal industry and watching those people and their families struggle and starve, let’s bring opportunities there now so that they can transition sooner than later and let’s go ahead and get this on track. Let’s not have to wait until, you know, 2035. If it’s something we know needs to happen, let’s go ahead and get it done now. In places that are struggling already like Michigan and West Virginia and Kentucky, places across the Midwest that are struggling with jobs, let’s go ahead and start bringing those capabilities there now. Q. In Ocasio-Cortez’s recent interview with 60 minutes, Anderson Cooper seemed to sort scoff at the idea of the Green New Deal and raised the question of how we could pay for a major infrastructure proposal like that. What would you say to those who think a green new deal is “unrealistic” or radical or too expensive to feasible? Ojeda: I think Alexandria Ocasio-Cortez was spot on with her answer. First and foremost, is being radical not wanting to watch the Earth die around us? Because I don’t think it is. And when we know, when we have scientists telling us, ‘we can’t go past this point because if we do we will not be able to come back from it,’ to me, that’s something we have to do. Do we want to be able to give our grandchildren a place that they can live in or a place where they can just absolutely struggle and die an early death? In terms of the money, I think her answer is spot on. If we can give a $1.7 trillion tax break to the top one percent, then how come we can’t find the money to do something like bring on the Green New Deal? If we can spend decades in countries where we’re really just filling the pockets of contractors and building roads where 90 percent of people don’t even own a car, then how come we don’t have the money to make sure we have better schools and opportunities for our children? Better roads to drive on? Better opportunities for our elderly? How come we never have money for that but we always have the money to give tax breaks to the top one percent. Q. You’ve made combating corruption and the influence of big money and powerful special interests a centerpiece of your campaign, and as I understand, your entire political career. Obviously, the fossil fuel industry has a very powerful lobby in Washington and is a major donor to both parties. Do you think it’s possible to adequately address the energy crisis and the threat of climate change without first addressing the issue of money in politics? And what do you think the best way of going about that would be? I think you have to throw both issues up. The thing is, they completely relate to each other. The reason why people are hesitant to get on board with things like the Green New Deal is because big energy doesn’t want that to happen. They want to continue just raking in as much money as they can. It’s no different than – you know – we know that cannabis can help so many people out there. The reason why cannabis is not legalized across this country is because big pharma doesn’t know how to deal with that and be able to put all the money in their pocket. That’s all this is. We’ve got to get big money out of politics. We’ve got to stop allowing these big energy and big pharma and organizations like that to be able to come in and grease the pockets of our legislators and have their way. Q. In your campaign for president in 2020, you’re not taking any money from the fossil fuel industry or any other corporations or special interests, right? Ojeda: I do not take corporate PAC money and let me tell you something – in terms of big pharma and big energy, absolutely not. I’ve thrown big energy out of my office. Q. You did so specifically while you were a state senator, right? You told people to get out of your office. Ojeda: Yes. Yes, I did. Q. In your recent run for Congress in West Virginia, you lost by 12 points but you still managed to swing an overwhelmingly red district by 36 points compared to 2016, which I understand was the largest swing of any district in the country towards the Democratic party in the midterms. You did that while running a very bold, very progressive campaign. How do you explain that? And what would you say to people like Claire Mccaskill or Joe Donnelly who say Democrats need to be ultra-moderate and conciliatory in order to have a chance to win in rural areas like West Virginia? Ojeda: Well, first and foremost, the reason why I was able to do so well was I relate to the people. Right now, we already see it. You already have Elizabeth Warren trying to drink her beer, Beto O’Rourke having his teeth cleaned. Right now, everybody is going to come out of the woodwork and act like they’re one of you. They’re not. I relate to the people because I am one of the people. I’m not against people that have wealth. But I’m just saying that you have no concept of what life is like to that person out there that’s struggling from paycheck to paycheck. For that worker that is wondering if he’s going to have a job next month. That mother that’s trying to put food on the table for her child. These people do not understand what those people’s lives are like. I think that you’ve got to be upfront with the people. You have to be bold and let people know exactly where you stand and I do just that. Q. Do you think there’s sort of a broader failure from the Democratic Party as a whole to connect with people in states like your’s? Ojeda: Absolutely. And there’s a reason why. If you look, we’ve just lost over a thousand seats across this country. There’s a reason for that. The Democratic Party has gotten away from what being a true Democrat is – which is taking care of the working class citizens, supporting unions so that people have a seat at the table, taking care of our elderly and not just talking about it. If I’m going to send you into harm’s way and break you as a soldier, sailor, airman or marine, I’m going to fix you when you come home. I’m going to stand up and I’m going to fight for the people. The Democratic Party got away from that and all they’re focused on is how much money can they raise. How much money can a person raise for the party? What happens is, the person that’s got the most money is not always the best candidate. I would say in most cases, it’s never the best candidate. You find the person out there that can relate to the people and you got somebody that the people would want to support. Q. You’ve said that you did vote for Donald Trump in 2016 and you’ve said the reason for that was you felt like Hillary Clinton and the Democratic Party weren’t strong enough on working class issues and that you felt like there was at least some hope that some of Trump’s populist rhetoric might lead to results for people in your state. Is that a pretty good summary of how you felt at the time? And looking back now, do you feel like President Trump has betrayed the working class people he said he’d fight for? Ojeda: I will tell you right now, President Trump is like the child of a dumpster fire and a train wreck. Okay? It’s like this, and I said this last night in an interview; if you were told by a doctor that you have terminal cancer and you have thirty days to live and then another doctor comes and says, ‘I can help you live,’ who are you going to go with? Trump went to the auto-industry in Michigan and Ohio and told them, ‘I’m going to keep your jobs rolling.’ And guess what? They supported him. He went to West Virginia and he told those coal miners that he was going to do the same thing. I wanted Bernie Sanders. Bernie Sanders was robbed in West Virginia. He won all 55 counties yet they gave it to Hillary Clinton. The Democratic Party did not put a candidate up who people could get behind in Middle America, in Appalachia. So, at the end of the day, it came down to who is going to help people. One of them might have been completely lying but everyone just wanted to give that person – they just wanted someone that could give them a little bit of hope. But it was false hope. Q. After seeing something like that go down, is it frustrating to you to see so many Democratic leaders say that in order to connect to people in middle or rural America, you need to run a centrist, establishment-type candidate? Ojeda: They don’t get it. But that doesn’t surprise me. 90 percent of the people running around Washington don’t get it. Q. I understand that you were attacked and almost lost your life while running for the state Senate in West Virginia. Can you tell us what exactly happened there and what has motivated you to keep going and to continue to be involved in politics after an experience like that? Ojeda: I have a lot that motivates me and a lot of it deals with the fact that I got the names of my fallen brothers on my back that didn’t come home. And when I came home, I realized that the leaders on the civilian side were not doing their job and had their hands in the cookie jar. It was a fiefdom is what it was. So, I started challenging these people and I ran for a state Senate seat. I can’t blame the person I ran against for being the one that attacked me, but I can guarantee you the folks that did not want me to beat him were behind it. I was at a gathering and a person who I’ve known practically my entire life asked me for a bumper sticker. I put one on the back of his vehicle and then he said, ‘can you put one on the front?’ I didn’t realize that when I went around the front, his plan was to lure me so that nobody could see. When I kneeled down to put the bumper sticker on the front of the vehicle, he struck me in the back of the head with an object and then rolled me over and with brass knuckles on his hand broke eight bones in my face. If it wasn’t for someone yelling who walked around the corner and saw it happen, he probably would have beat me to death, rolled me into the ditch line and drove away. Q. I’m really sorry to hear that. Was there a moment after that happened where you ever felt like maybe that might be the end for you in politics? Did you feel discouraged at all or did it just sort of reinvigorate you? Ojeda: Oh, no. I had a lot of family that were like, ‘you really need to stop this,’ because politics is very ugly where I’m from. But the truth is, that only fueled my desire to fight harder. I’m not going to let these people do something like that and win. You can’t do that. Never walk past something you know is wrong and fail to make comment. Because if you do, you’ve created a lower standard. I’m not going to just sit by and watch lower standards rule the day. Q. I noticed that you end all your campaign videos with a signature catchphrase that I presume is from your days in the military. For those who don’t know, would you mind just telling us what the phrase is and what it means to you and why you’ve chosen to end all your videos that way? Ojeda: I say ‘Sappers clear the way, Airborne all the way.’ As a person that spent 24 years in the military, I was a light Airborne Sapper. I spent my time in light Airborne Sapper battalions. As a combat engineer, that’s excellence. And I believe in that. The people I served side by side with in the military are some of the greatest people to have ever walked this Earth because they understand what loyalty, duty, respect, service, honor, integrity and courage means. You don’t have to question their loyalty to you. That’s what I want, that’s what should be in politics. The people that we elect as leaders should be the ones that are above reproach. These are people that you shouldn’t have to question. That’s what I want to get to and that’s what I’m bringing to politics. In the wake of Hillary Clinton’s stunning loss to Donald Trump in the 2016 election, a group of disaffected former Bernie Sanders campaign officials and progressive media personalities quietly formed an organization with a simple mission: to take over the Democratic Party and remold it in their own vision. Embracing their role as outsiders, Justice Democrats recruited and organized with dozens of candidates running in the 2018 midterm primaries. One of those candidates was Alexandria Ocasio-Cortez, a 28-year-old latina woman from the Bronx who had been working at a New York bar before running for Congress. With the midterms approaching, The Globe Post spoke to Alexandra Rojas, the executive director of Justice Democrats, to discuss the future of her organization and the Democratic Party.